Jen: Hey, guys, welcome to the For the Love Podcast! This is Jen. And before we get started with our episode, I wanted to follow up on something that we've been talking about these past few weeks while we've been in this very, very amazing For the Love of Books series. 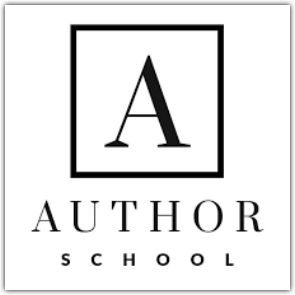 As you've heard this week, with really all the great writers we've talked to, they each got their start by being mentored, by learning from other great authors, and by putting the pieces in place to chase their dreams of writing. Now, let's get started with our show! 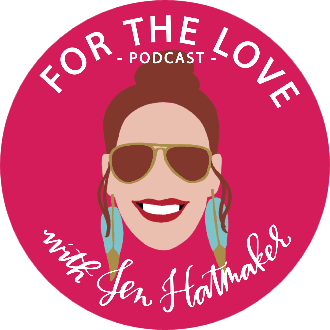 Jen: Hey everybody, Jen Hatmaker here, your host of the For the Love Podcast. Welcome, welcome. These past few weeks, we've been talking to the most amazing writers and thinkers about their craft and what compels them to write and keep creating, and it's been amazing for me. I've had so much fun talking to these authors that I respect and admire, and hearing all your feedback on social media. I'm really glad you've enjoyed this series as much as I have. Wait until you hear about our guest today. She's the biggest deal, I don't know how else to say it. 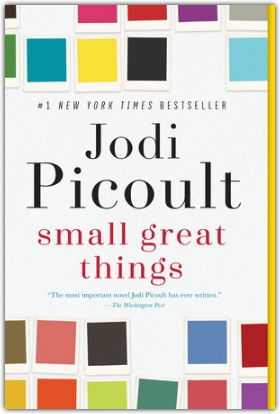 To tell you the magnitude of Jodi's talent and acclaim, here's a good pin: her last 10 books have all debuted at number one on the New York Times Best Sellers List. The last 10. 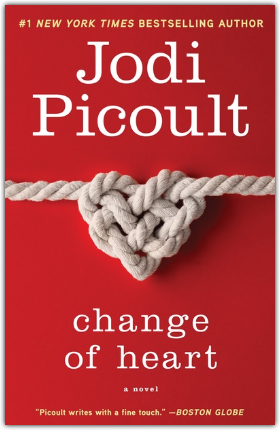 I am so pleased to welcome Jodi Picoult to the podcast today, because she is a real force, one of the great novelists of our time. Really. She's written 25 novels, and I bet you've read at least a few of them. I honestly think I’ve read all of them. 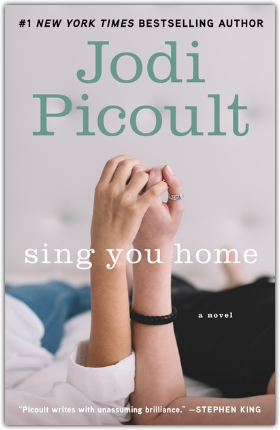 Some of her best known books are My Sister's Keeper, Small Great Things, which I mentioned recently—that was her previous book that is powerful, powerful, powerful—Leaving Time, Sing You Home, Nineteen Minutes. It goes on and on and on. 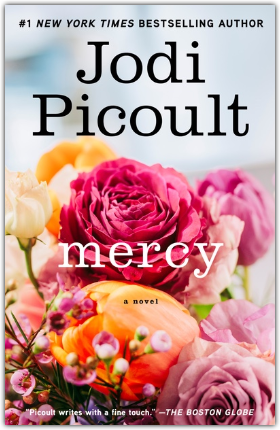 What's great about Jodi, in addition to writing really thoughtful, complicated books that we love to read, is that she challenges her readers to chew on why they think the way they do about some of the world's most hand-wringing moral questions and crisis situations, like how we handle human rights based on race and sexual orientation, reproductive health, and so much more. 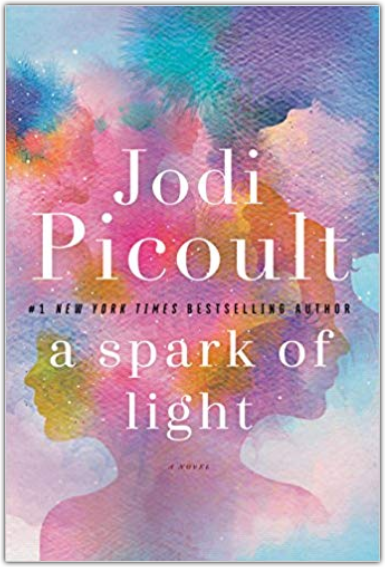 Her latest book is called A Spark of Light. I want you to know going into this episode, listeners, that A Spark of Light tells this very powerful story around an abortion clinic. We're diving into that discussion and into that conversation. Jodi is going to talk about a lot of the research that went into it, and what she discovered, and her own personal perspective on reproductive rights, and what she learned with the people that she interviewed and shadowed. So this is complicated. I want you to know that right up front, and I want to say it right up front that she and I talked a lot about how can we find a way forward when this is not something we're ever probably as a country going to come together on. We're not going to be unanimous here. This is a very powerful conversation with deep, deep feelings. We also talk about what are some ways forward that we can come together? Where are places of connection and common ground? This is one of those moments where we're like, Is it possible for us to engage in dialogue across ideology? I hope you'll stick with this conversation and listen and be willing to think, or to ask questions, or—if anything else—just listen to somebody else's perspective. We're going to talk about A Spark of Light. We're going to talk about all the other things. 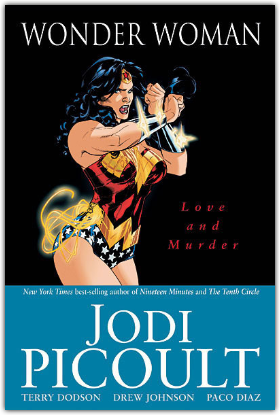 Do you know that Jodi has also written five issues of the Wonder Woman comic series? Isn't that awesome? She's only the second woman in 75 years to do that. I thought that was pretty cool. Jodi graduated from Princeton and the Harvard School of Education. In fact, the Princeton Alumni Weekly named her one of the top 10 living alumni shaping the world of 2018. Pretty cool. She and her husband Tim have three grown kids. They live in New Hampshire with a whole bunch of animals: springer spaniels, like I have, rescue puppies, two donkeys, 10 chickens, ducks, and the occasional Holstein cow, as you do. This is a really fascinating conversation. She is a talent and a force in literature. 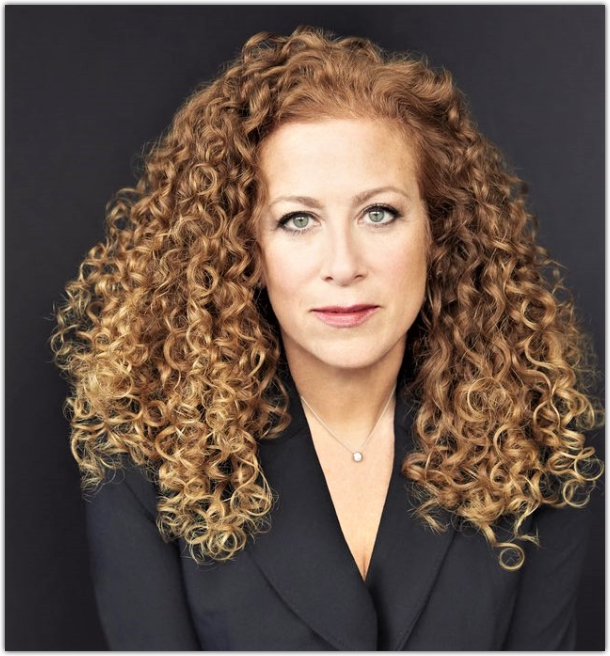 So it's an honor to have her on the podcast today, and I hope you enjoy my conversation with Jodi Picoult. Jen: Okay. 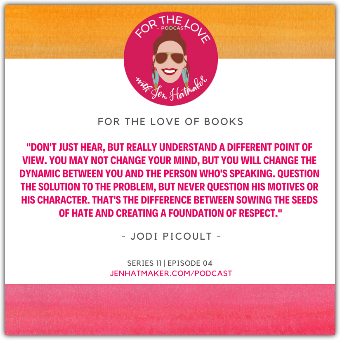 Jodi, I'm so thrilled to have you on as a part of our For the Love of Books series. I have been a fan for so long. In fact, I just took a picture of my top bookshelf, in which half are your novels, and I honestly think I might have read every one. I don't know if that's possible, but I'm pretty sure it is. I always talk about you. People ask me a lot, “What are you reading? Who are your favorite writers? Who do you think is a very phenomenal novelist?” I always have you at the top of my list. You are a phenomenal writer, leader, thinker. Thanks for being on today. Jodi: Thank you for having me. Jen: I've told our listeners a little bit about who you are and what you do, and most of them obviously already know. 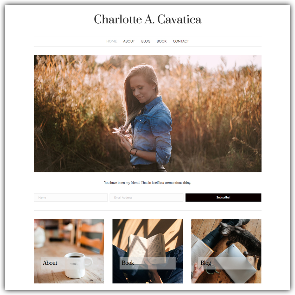 But let’s get into a little bit of shop talk, because you are such a career prolific writer. And then we'll talk about your new book, A Spark of Light. I wonder if we could go back to the very beginning before you started writing all these novels, because I'm so smitten with the way you do this. Because you ask profound questions in your books, and do not shy away at all. It makes me think of you as a kid, and I wonder if you were an insatiable question asker, even back then? Were you always curious about why people make the choices that they do? And I wonder, when did you discover that the world isn't necessarily so black and white, but it's actually pretty gray? Jodi: I can't say that I was this child with insatiable curiosity. I wasn't conducting massive science experiments that cure cancer in my basement or anything. But I was a profound reader. One of my first memories was being three years old. I was reading at about three and a half, and my mom took me to get my library card. I was so excited about that. That was the biggest deal for me. I could come home with a stack of books, and I could put them next to my bedside just like she did, and I could read. I loved reading, and I loved opening worlds that the books invited me to. The way I learned that the world isn't black and white, I think it's probably the way all kids learn it: the way that they're bullied, or the way things don't work out in school the way they expect to. I had a really beautiful, easy childhood. I grew up in the suburbs of New York. My parents were, and still are, happily married. I had this little brother, and I like him. There was no trauma in my life. If you went based on that, there's no reason for me to be a writer, because writers write from this place of deep hurt. And I didn't really have that. But I loved going to college. I went to Princeton and I loved it, because every time I sat down with a brilliant professor, I felt like my mind was cracking open, light was pouring into it. I studied all different kinds of things, everything from economics to science to literature to creative writing, which was my major. I loved the act of learning. That really struck me. And I think that when I started to work in creative writing, what you're told right away is “write what you know.” It didn't take me very long to realize I knew absolutely nothing. Jen: That well was not that deep. Jodi: No. So instead of writing what I knew, I decided I was going to write what I was willing to learn. Jodi: I think that drove me into this passion for research that I have, and the fact that when I write my books, sometimes I spend more time researching them than I do physically writing a first draft. Jodi: Yesterday, my day went from editing notes from an Egyptologist and cross-referencing panels for Djehutihotep II to having a Skype interview with a man who is a quantum mechanics physicist. Jodi: I think that for me, that's really what drives my passion for writing, the fact that the world has become my university. Jen: Oh my gosh, I love that answer so much. I'm a curious person too. I love learning, and research is fascinating. All that really shows through in your books. I mean, your hard work, your background work, is very evident in the way that you bring it to bear in your characters. When did you know for sure that you wanted to be a writer? When did you know you were in this for the long haul? That it was not going to be a hobby, it was not going to be a side hustle. And how did your parents respond? Jodi: I was at Princeton. I was a junior. And this was pre-cell phone, so we still all have land lines and answering machines. 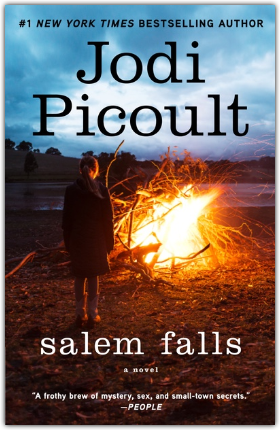 Jodi: I had been in a creative writing course, and I had worked on this one particular short story over and over and over again. Finally my professor, Mary Morris, said to me, "You should send this somewhere." And I said, "Well, what do you mean? I'm writing this for a class." And I never thought about it living beyond that class. So she said, "Well, go send it to Seventeen Magazine." I was a starving poor college student, so I couldn't even afford to buy Seventeen. I just copied down the address on the masthead. 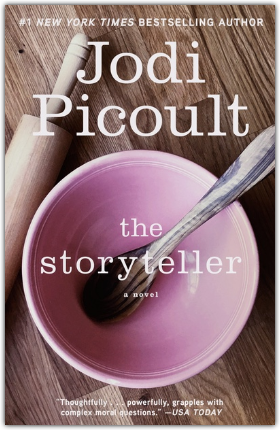 I sent the story off to an editor at Seventeen, and a few months later I came home to an answering machine message saying, "We would like to pay you for your short story." I fell off my chair because I would've paid them to read it. Jodi: I called my mom and I said, "I'm going to be a writer." She said, "That is so great. Who's going to support you?" Jodi: My mom is my biggest cheerleader. I love her to death, and she is one of my first readers every time I write a book. I would not even have tried to be a writer if not for her. She is always squarely in my corner, but she also provided me with a very good reality check. Jodi: That’s really important for beginning writers because the truth is, the vast majority of writers cannot support themselves. Jodi: So they teach, or they do another job. I really needed to hear that and know that before I started to wade into this career. Because it really did take me a very, very long time before I was contributing anything of worth to the family income. Jen: Yeah. I appreciate you saying that, because I have a lot of aspiring writers that listen to this podcast. It's so overwhelming to look at your career, and it's so storied, and it is so special and so acclaimed. But even you started at the beginning. In fact, I read that with your Seventeen Magazine short story, didn't somebody throw out the first four pages of it? That you had just crafted and crafted and crafted? Jodi: Yeah. First of all, I do think it is really important to point out that people seem to think I had the Oprah moment, that immediate success. I can't tell you how many newspaper reporters call me an overnight success. Well, it was the longest overnight, because it took years before anyone even knew I was writing anything. There's something to be said for perseverance and writing. If you don't believe in yourself, nobody else will. Jodi: But to get back to your question, yes. Mary Morris, my professor. Here I was, this little girl who got straight A's in high school and walked into Princeton thinking I knew everything. I did not know everything. I did my first creative writing class. When my piece was being workshopped, I walked in and she asked me to sit on the floor and not say anything. She handed me construction paper, scissors, and glue stick. And she said, "You are going to cut and paste based on what the class says." 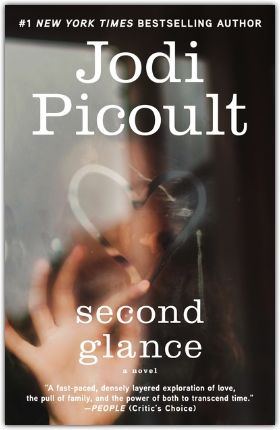 The first question she said was, "Where does Jodi's story really start?" And someone said, "Page four." And she said, "Yup," and she ripped off the first three pages and threw them over her shoulder. The next day I got enough courage to go to Mary's office, and I said, "Why did you do that to me?" She said, “Because you needed it, and because you could take it." And I was so mad, I edited that story and edited that story and edited that story until, as I said, Mary finally said to me, "You need to send this somewhere outside of a class." Jen: Wow. Yeah. 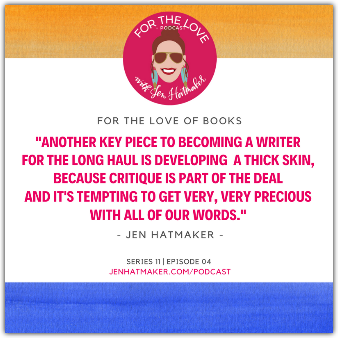 I mean, that is another key piece to becoming a writer for the long haul is developing enough stamina, not just stamina for it, but a thick skin, because critique is part of the deal. That is a part of the deal, and it's tempting to get very, very precious with all of our words. Very precious. Jodi: Yep. And if you can't stand the heat, you don't belong in that particular kitchen. Jen: Honestly, you're right. Once it's out there in the world, people apparently have permission to say whatever they want about your books. They can write what they want on the Internet and they can put what they want on Amazon reviews. And it really is no place for thin skin. 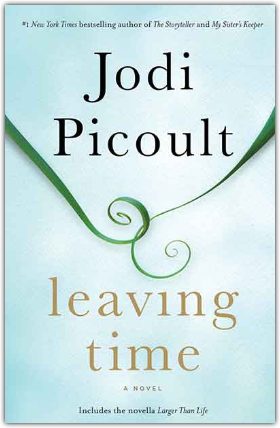 Jodi: My favorite thing is when I go to Amazon and I get a one-star review because someone's book got delivered late. Jen: Oh yes. I've had that too! Jodi: I'm like, Wow. I'm so sorry, but really that has nothing to do with me or what I wrote. Jen: Right. Like, thanks a lot, Mary from Connecticut. It's really, really a bummer. One thing I want to make sure that all the listeners know today, because this is . . . I mean this is extraordinary. I don't care who you are or how you slice it. This is really extraordinary: you have had either a baby or a book every single year since 1992. You have had three babies. Jodi: I don't have, like, 12 babies. It's just three of them. Jen: That's right. Let me get the numbers right here. The balance. That's three human babies and 25 novels. And your novels, as you alluded to earlier, are dense and they're packed full of research. You don't skim the surface on anything. This is deep writing. It's sometimes difficult writing, it's long form. I mean, I just marvel at your capacity. I really do. I'm curious as a form of craft, do you write every single day? I would just love for you to talk for a minute about how you manage to live such a full life both personally and professionally, and to manage this level of really phenomenal output. Jodi: To me, what you put down on the page can be fixed. You can't edit a blank page, but you can edit a bad page. And even when I'm not feeling it, even when the muse isn't striking, I'll sit down and write, and then I'll go back and I'll fix it. Of course for me, things got much easier with this magical thing called organized schooling, when all my kids were gone most of the day. Jodi: Right. And that was what I really kind of hit my stride, because when they left, I started working. And when they came home, I magically transformed into a mom again. Now, when my kids are all out of the house—they're all older, and some are married at this point—I basically stick to that schedule. If it's a writing day, I go up to my office at around eight. I finish working around four. I do it five days a week. I don't work on weekends, unless I'm at the end of a book and just driving to get it done. For me, it's really about balance. If it is a work day, it definitely is work. I'm not sitting here waiting for an angel to land on me to inspire me. Sometimes [writing is] not fun work, yet sometimes it's glorious. Jen: I appreciate that, because somewhere an idea floated into the universe that writing is very dreamlike and magical and you capture lightning in a bottle somehow, when in fact it is just a J-O-B. It is work. I think this sense of treating it like a real job, like real work, incredible work, is the difference between some writers who make it and some writers who don't. And it's not that simple. I'm reducing it down and eliminating a ton of mitigating factors. But diligence, there's something to be said for it, that, I am going to take this seriously, I'm going to take this project seriously, I'm going to take myself seriously as a writer. I heard you say something that I’m very drawn to, and this informs the way that you write. You said, "A lot of people have opinions, but I don't think they ever stopped themselves to ask why their opinions are the way they are." I appreciate that quote, and I think you challenge us pretty masterfully in your books, to take what can be very complex or complicated discussion or issue and really burrow down underneath. Why is this creating a reaction in me? Why do I feel the way I feel? Why do I believe what I believe? Because you're drawn to exploring moral questions that are not black and white, and situations that affect us differently based on race or gender or orientation or socioeconomic background. You write things that make us feel uncomfortable. I guess that's the best way to say it. And that takes a lot of guts. I wonder if you could talk for a minute about . . . You could have gone any which direction. You're a creative writer, you're a novelist, you're a storyteller. I mean, you could have done romance. There's a million paths in front of somebody who's as gifted as you are. How did you decide to take the leap and write these “Big Question” books that you write? I'm not the first person to write fiction that does a headfirst dive into morality. I would kind of put that on Dickens. But it's not an easy read. And there are some books that are pure escape and pure enjoyment that don't require that level of things. 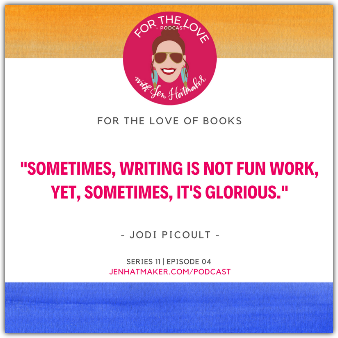 Jodi: For me as a writer, in order to stay fresh and not write the same book over and over again—and we all know people who do that—I really need to engage myself. I need to challenge myself. And sometimes I challenge myself with format, sometimes I challenge myself with topics, sometimes I challenge myself with research. It really depends on the book. But for me, I find it most interesting to take a really contentious issue and show myself and the reader both sides of that issue. If I've done my job, you're gonna have a really hard time figuring out which side of the argument I'm on as a human being. Jen: You do not show your hand. Jodi: Right. The idea is for you to be able to see both sides. Look, I'm a writer, it is not my job or my right to tell you what to think. But it is my job and my right to get you to question how you got to that opinion. Because let's face it, a lot of us form our opinions at the knees of our parents or our religious leaders or our history, a million other things. But we very rarely challenge those because they're formed so young, and because other people have such a hand in forming them. And as we grow up and evolve and begin thinking for ourselves, it's worth poking that with a stick. Jodi: Especially when you get to some topics that really don't have easy answers. And most of the ones that I tend to talk about don't. Jen: You're right. I mean, I can't think of another novelist who can evoke in me some well of compassion for a white supremacist. But you manage to do it with this very nuanced way that you write, and you bring background and perspective and history and context to front. And it's good work. I find that incredibly important work, especially right now. Obviously if you just have eyes and ears, everything is so incredibly polarized right now, and it is all or nothing, it is scorched-earth theory. So having a leader in any capacity, be it through fiction or through politics or through faith or really any space that is able to take us by the hand and force us to examine more than one side and more than one space, I find this to be incredibly important work right now. This is, in fact, to me, it reminds me of Brené Brown's work right now. She does it in the intellectual and emotional zone as a doctor, as a therapist too. But you're leading us in a similar way and doing it through storytelling. Writing the hard things that you write about, do you marinate on an idea for quite some time before you decide, This is the core of my next book? Or are you paying attention to culture? Is it things that are white-hot in the public square? Is it something that's inside of you? I'm wondering how you choose the center of each of your next new book. Jodi: A lot of people assume that I look for the hottest issue and pick that, and it's the exact opposite. I would say issues pick me. Look, there's no shortage of contentious issues in the world. Jodi: But it needs to be something that is making me question things as a wife, as a woman, as an American, as any of the labels that I put on myself. If it's something that's keeping me up at night and worrying me, it's probably a very good idea for a book. So yes, to some extent it is culturally based, because things that are not bothering me now might bother me five years from now. In other ways, it could be based on my age, or my life experience. There has to be this weird junction of the two. Jen: Mm-hmm. Is it challenging for you to live in such heavy spaces? Because I know this well. As a writer, you don't just shut your laptop at 4:00 and leave it all behind, especially in the spaces that you move into. I mean, when you're in domestic violence and human rights crisis, and for extended periods of time and you are holding all these viewpoints inside of you, do you have best practices for restoring your well after plumbing all these depths? Jodi: The truth is that it's not hard for me to do that. There's such a marked division between the lives of the characters that I create and my life that it's very easy for me to walk out of my office, and go downstairs, and have this awesome husband, and four amazing puppies waiting for me. My life is honestly so good, it's disgusting. I'm really lucky to be able to create a very sharp break between the fiction I create and the life that I'm living. That's said, I do agree that you carry your office between your ears. 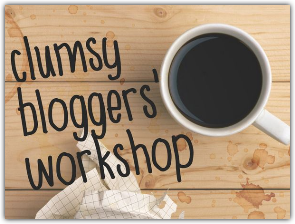 So very often, especially when my kids were younger, if I was driving them somewhere, if I had an idea that I knew I wanted to write about, I always kept a Sharpie in the car and I would write on my hand if I were driving and I came up with an idea. And when I ran out of my own hands I would write on my children. So you do always have that sense that what if something untangles a knot you've got in your plot untangles when you're in the middle of the shower. It can happen anywhere, so you always have to be prepared for that. Jen: That is so true. I'm sure it's different from book to book, but let's just say from the start you start writing, you're past the research phase, which for you as you mentioned is sometimes the biggest slice of the pie. But once you put your fingers on the keyboard and you start writing, about how long does it take you to write a novel? Jen: Okay, that's what I thought. And then you add research on to that, and you're in a year and a half cycle there for a book? Jodi: The truth is that I was on a yearly cycle for many, many years. 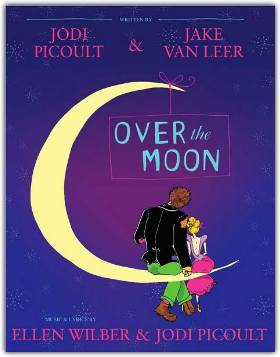 And then about four years ago, I started going every other year, just because of other work that I've been doing, other writing that I've been doing as a librettist for Broadway-bound shows. So that's incredibly fun, very different, exercising a different muscle, allows me to collaborate in a way I don't when I'm writing a novel. So that's kind of filling up the rest of my time. Jen: Oh, that is fun. I like that challenge. Jen: Hey, guys. I wanted to break into the show for a minute to ask you a question: who around here loves to clean? There’s somebody out there who probably does, God bless you. But most of us dread it. What we do all love is when everything is clean, right? 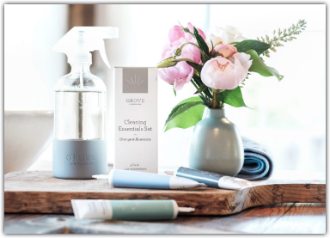 A while back, I discovered something that makes cleaning more fun, better smelling, and healthier: Grove Collaborative. They make it easy to discover the very best natural cleaning products to take care of your home and family. And they deliver right to your door—my love language. 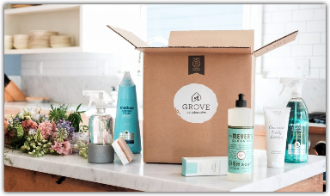 Grove Collaborative carries so many great brands like Method, my very favorite Mrs. Meyers, and Burt’s Bees, even their own label stuff. And get this: there is a slew of fall scents available soon: apple cider, peony blossoms, mum, and—crowd favorite—pumpkin. Who doesn’t love pumpkin in the fall? we’ve partnered up with Grove Collaborative to extend an offer to you, our beloved listeners. You can take advantage of this awesome, new customer offer. So everyone listening can try your own box of Grove stuff. This offer comes with a FREE Mrs. Meyers gift set that’s worth $30. So when you place your order of $20 or more, you get Mrs. Meyers hand soap, dish soap, multi-surface spray, a kitchen towel, plus free shipping and a VIP trial membership. So to get all this, you’ve got to go to Grove.co/ForTheLove. So it’s not Grove.com, it’s Grove.co/ForTheLove. Now, back to our show! Jen: Let's move into your new book. It's called A Spark of Light, and in your wonderful gifted way, you have put a difficult conversation in front of us and forced us to examine it from several sides. 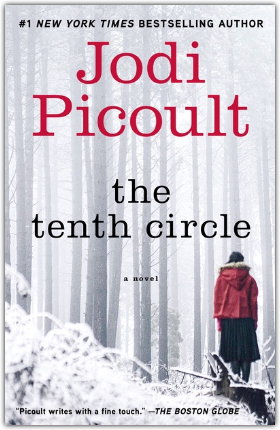 First of all, from one writer to another, it’s an absolutely masterful work on the narrative structure. 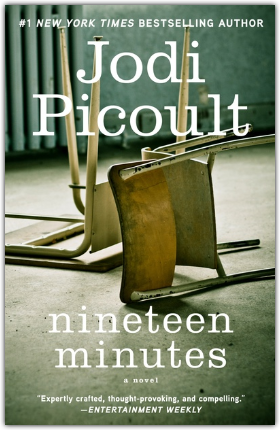 You mentioned earlier that sometimes you challenge yourself with structure, and this is so interesting because the book starts with a crisis, like a huge crisis moment, and then you tell the story from multiple perspectives backwards. Like an hour, going back an hour time, really interesting. Really, really provocative. I can't think of another book I've seen do that. 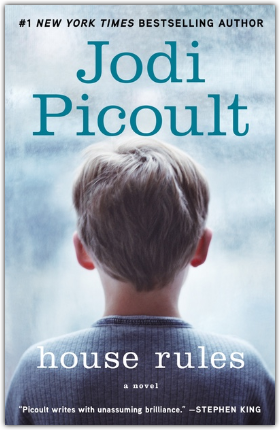 Can you just tell everybody a little bit about what this book is about, what inspired it, why you chose to write it, and why you chose to write it this way? Jodi: Sure. 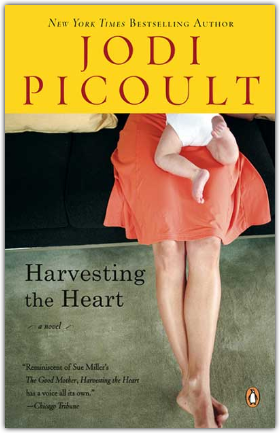 The book is about a clinic, the only surviving abortion clinic in Mississippi. And on a sunny September day, a gunman walks into the clinic and starts shooting. The book spools backward, as you said, so that you begin to learn why each of the people in the clinic was there at that moment, what brought them to the clinic that day. So by the time you get to the very end of the book, it's the earliest moment of the day. It's what everybody wants to know. What is that brought people here? What is that brings us to our convictions and our beliefs? What is the moment of conception? What do we believe about when life starts and whether or not reproductive rights are something that we have to fight for as women? It follows a whole range of characters. You don't only learn about the gunman, but you also see him in counterpoint to the hostage negotiator who is on the outside, who learns part way into his investigation that his 15-year-old daughter is one of the hostages. Jen: Of course, we expect tension points from you. Of course his 15-year-old daughter is a hostage. Obviously, and you do this well, after sort of holding the story out to us, and letting us receive it as we do and think about it from where were at. I wonder if you could talk a little bit about your research going into this book, your perspective and what you learned, and some of the viewpoints that you're putting in front of us to learn from and listen to. The reason I wrote this book, the reason this one hit me at this time, is because I was thinking about the fact that when I was in college, I had a very good friend who found out she was pregnant and was in the first trimester. And after many tearful nights and discussions with her boyfriend, she decided to get an abortion. I one-thousand-percent supported her. I do identify as pro choice. And anything I could do to be there for her, obviously I was gonna be there. Well, fast forward now, years later, and I am pregnant with my third child. I am exactly as pregnant as my friend was when she terminated the pregnancy. I was having a complication and wound up in a radiologist’s office. And he said to me, "Well, either it's gonna stick or it's not." I mean, great bedside manner there. I was devastated, because to me, that was already a baby. 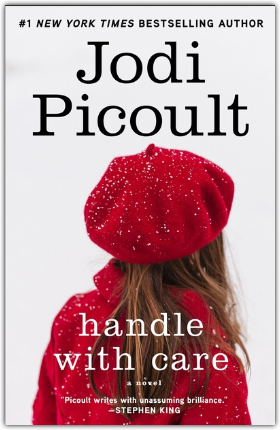 Everything worked out okay—you'll be happy to know, that was my daughter, my third-born. I wondered, How could that be? How could I have shifted so dramatically in my thoughts? To me, that was so fascinating: where we draw the line about what we believe when it comes to reproductive rights changes, not just whether you identify as pro life or pro choice, but for one individual woman over the course of her own lifetime. What you believe at 15 is not what you believe at 30, which is not what you believe at 42. Given that laws are black and white, and when we talk about reproductive rights, we are always talking about laws, we are talking about Roe v Wade. We're talking about confirming Justice Kavanaugh. Well, how do you legislate in black and white when women are so many shades of gray? That was why I wrote this particular book. Jen: That's your jumping off point, which I love because it's so human. It's out of this sort of sterile space of policy and legislation, and into the human life, which is where it lives. That's where this lives. It's real people, and it's real families, and real moms. I really love that's what stuck in craw, to sort through and pick through. What did some of your research show you in terms of abortion rates and what actually affects them? And what really has some sort of bearing on those statistics? Jodi: Okay. I have so much to say. Jen: Well, let's hear it. I have a podcast! Jodi: First of all, one out of four women will have an abortion in her lifetime. 88% of those occur in the first 12 weeks of pregnancy. When you begin to look at abortion rates, they have declined. But that's actually a really crappy statistic, because when you break it down even further, you learn for wealthy women they've declined by 24%, but for poor women they have climbed by 18%. What we know is that seven out of ten women who terminate a pregnancy make less than $22,000 a year. 75% of women who terminate a pregnancy say the reason they did so was because they couldn't financially care for a child. I'm gonna come back to this point at the end. I learned that there are lots of fallacies about abortion. Of course, the one you hear all the time is that if we eliminate abortion by making them illegal, then that's gonna reduce the number of abortions, it's gonna end abortion. We know for a fact that's actually not true, because in the '50s, there were between 200,000 and 1.2 million unsafe abortions. All of that happens when you legislate against abortion, that it polarizes even further. Wealthy women can move and get an abortion overseas, poor women can't. So you become, as a woman, a victim of your zip code. The other big fallacy, which is something we hear a lot now, is about defunding Planned Parenthood, that that's necessary because they're the ones who have the highest rate of performing abortions. Well, Planned Parenthood is a really interesting organization. What most people don't realize is that abortions are 3% of their activity. 97% of their activity is providing health care like STD screenings, breast cancer screenings, contraception—things that are covered actually by federal funds, which is great because a lot of poor women can't afford it otherwise. The only part of Planned Parenthood that is not covered by federal funding already, right now, are abortions. That's why if you need an abortion and you go in, you have to pay for it. There is no government surplus fund that will pay for your abortion. So if we defund Planned Parenthood, literally all they would be able to do are abortions. See what I'm saying? I don't think that the opponents of Planned Parenthood understand that. So it's really great to be able to say that out loud. Then I also spoke to 151 women who have terminated a pregnancy. Of those 151 women, one woman regretted it. All 151 thought about them every single day. And they also said that when it came to writing the book, only about 25 of them were willing to be acknowledged and some of those were pseudonyms, because they have not told their parents, their kids, their spouses, their partners, about the fact that they had an abortion. They live with this extreme shame, which to me is heartbreaking. The fact that women's stories don't matter, that women are stigmatized for something that one in four of them will do over the course of a lifetime makes me very nervous. 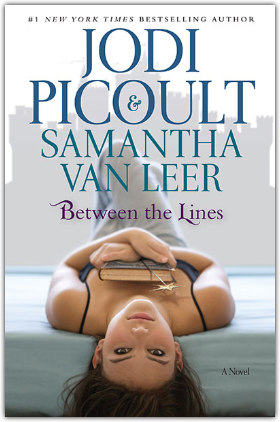 I just don't like that feeling, and hope this book erases some of that stigma. I did also speak to people who were pro life, which was really eye opening for me, because I expected zealots and crazy activists. They were lovely people who really have a very deep conviction, just like people on the other side do. It was really interesting to fit all that into a book. What I really hope people come away with is the idea that, as I said, laws are black and white, and women aren't. So let's take laws off the table, and let's start to think how can we come together on this topic. In a way, I don't think we as humans ever will, to be honest. I think both sides come from places of such deep conviction. One of things that I really think we really have to do is look outside of laws to begin to think, Okay, we can say, flat out, nobody wants to have an abortion, not even the women who have them. This is a last choice. So if we really wanna reduce the number of abortions, what's the easiest way to do it? Contraception, right? 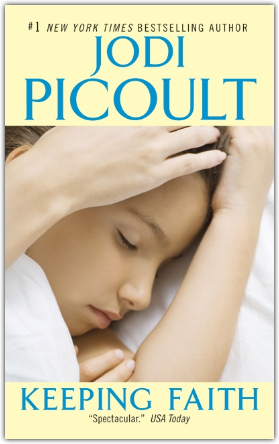 In the US, in 2012, there was a study and there are 31 teenage-girl births per thousand. In Canada, it's 14 per thousand. In France, it's six per thousand. The difference between our country and other countries is free access to birth control, and also to free access to health education about reproduction. The camp that tends to be the most verbal and active anti-abortion, many of them also say contraception is a really bad thing. I don't get that. I want someone to explain that to me, because that's really the easiest way to reduce the number of abortions. To me, that suddenly stops being about the rights of a baby, and suddenly it becomes about controlling the sexuality of women, and someone's gotta answer for that. I wanna hear that conversation. I wanna have that conversation. I think the other thing that we have to ask is there are laws that could be passed that reduce the number of abortions, but they’re not the laws we're looking at. If we know, again, that economics are the driving force here, what if we raised the minimum wage, so that women had more money and could raise another child? What if there was government-funded daycare to eliminate the threat of losing your job if you have a child? What if there was universal health care that paid not just for maternity care, but also for the health of your kid for the next 18 years of its life? What if you penalized employers who docked women from getting promotions because they had to keep leaving the workforce to have those babies? There are lots of ways that we could actually create a system that makes that choice more of a choice. If that was the case, many of these women who say they terminated because it's an economic decision might choose something else. So I feel like we need to reroute this conversation. We need to be having these conversations, and we're not doing it yet. Jen: I think you raise really interesting points, and really good questions that we should be asking. In my experience, there's a pretty heavy responsibility and a much broader impact, as you used the term, pro life. I would consider a pro life ethic to go well beyond the womb, and that's when we consider the life of this mother and her family, and her socioeconomic status. And all the social factors that you mentioned, they matter. They matter. They matter to the health of a family. They matter to their capacity to provide. Those are very, very real, and the correlation between these is high. So these, to me, are the questions underneath that actually mean something. They matter. They have impact. They really affect the data and the statistics, so I like these questions. And I like us looking at it and saying, "Well, these laws are going to disproportionately affect communities of color, and women of color, and spaces of lower socioeconomic status." I think if anybody purports to care about human life, these are very necessary questions to have on the table, very, very necessary. And it's just common sense to say contraception needs to be a part of the conversation. I'm guessing that you bring all of this to the book, right? Do you lace all this through and bring some of the laws and the actual policy to the table? Jodi: Absolutely, yeah. Not only that, but I tried to introduce characters to remind you that the women who use these clinics are not necessarily all women who are going there to terminate a pregnancy. One of my favorite characters is a woman named Olive, who is a 70-something lesbian. She is the last person in the world who would be terminating a pregnancy. Jodi: But she is there, and she's using the health care services of this clinic, as opposed to the reproductive services. It's just really important to realize that when you paint with a broad swath and you eliminate the access to reproductive rights, you are doing more than just talking about abortion. You are talking about places where many, many women get their health care and rely on that health care. Jen: You just mentioned Olive, and this is how you do your work. You do it through it story, and you do it through people. And I don't know a writer who manages their characters with such a deft hand. This is your special gift, of giving us very complicated, complex characters. A lot of interpersonal drama and nuance. It's interesting when we read your books, because you're so thorough in fleshing out your characters. We feel like we know them. We do. When we get to the end of My Sister's Keeper, we have to lay on the ground and just sob and sob. I remember where I was sitting when I got to the end of that story. I told you on Twitter—and we’re gonna have to talk about it—I didn't see it coming. I didn't know. I didn't see it coming. And it was the right ending. You said you were gonna defend it. And we'll get there in a second. But you craft your characters in such a way that we're invested. I mean invested. And even in some of the [characters] I didn't like at first, I didn't want to be invested in. I didn't want to care about what happened to them, and you make me care about their future too. I appreciate the way that you do that, it's like voodoo. I don't know how you do it, but we end up sympathizing because you allow us to sort of see things from their perspective. "Don't just hear, but really understand a different point of view. You may not change your mind, but you will change the dynamic between you and the person who's speaking. Question the solution to the problem, but never question his motives or his character. That's the difference between sowing the seeds of hate and creating a foundation of respect." I just feel like we should cross-stitch that on every pillow in the country right now. You're really giving us something important, which that is ideas and character are not always the same thing, and listening matters. Can you just talk about this for a second? Jodi: I would love to. So it's interesting for me to talk about in the context of reproductive rights, particularly. I mean, look, Jen, I wrote an entire book on racism. I was trolled by white supremacists, and I will tell you that even the white supremacists were not as vitriolic in the things they sent me on social media as people who purport to be pro life. I am shocked at some of the things that are said. And to me, like I said, I really believe we as a nation will never agree when it comes to abortion. I think that what I believe is deeply ingrained. The fact that a woman has the right to choose and make her own healthcare decisions, I really firmly believe that. And I also absolutely believe that other people feel just as viscerally, "No, no, no. The minute that is a fertilized egg, it becomes a person." I really understand that they believe that, I do. So I don't see us being able to agree on where does life begin. Knowing that, how do we get along? Because we all have to live in this country. I feel like it's very easy to judge people who think different from you. 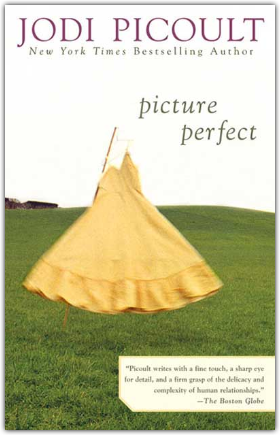 And I think that the answer is to enter a conversation with this thought in the front of your mind: nobody is perfect. No decision that anyone makes is something that they should be judged for, because we don't know what brought them to that point and we never will know unless we walk in their shoes. So I suggest reaching across the aisle. Have a conversation with someone who doesn't think like you do. I am well aware that many of your listeners do not think like I do on this particular point, and that's okay. I totally get it, and I totally respect that. I am willing to listen to you, but only if you are willing to listen to me. You may find yourself agreeing with some of my points, and I may find myself agreeing with some of your points, and at least we will have that. And I model this all the time on my own social media. If someone comes at me and starts giving me death threats and telling me that my children are horrible people, I will block them. If you think something that's different from me, and you're willing to have a conversation about it with respect, I am absolutely willing to do the same. And that is what I think we are not doing right now in our country. I think we are in our own little bubbles, we are only listening to the newscasts that make us feel good about our opinions. Here's the bottom line: politically, no matter where you stand right now, that has really nothing to do with morality. People know what's right and wrong. And I believe that that transcends party, I really do. Jen: That’s good. And there is something that happens there. I feel it in my own gut too, and I sort of preach the same thing. This is a message that I feel passionately about, which is productive dialogue and giving one another the benefit of the doubt, which is like an old-fashioned idea that almost seems old-timey at this point. And getting out of our silos, which, frankly, I mean, I'm first in line as an offender. It's easier to be in an echo chamber, it requires so much less of me, and it's comforting because I feel like, "See? We all agree, we know what's right and they all don't." Jodi: And I think the other thing. You look at a book like A Spark of Light, and I've had people read it who say "This is a book that's pro life." And I've had people read it who say "This is a book for choice." Jodi: I mean, you should be able to find your people in there, you should. But it's not that simple. Like I said, 151 women who had an abortion, they all still think about it every day because they understood the gravity of the decision they were making, which I think is a grace that a lot of people on the other side don't allow. And by the same token, even someone who is pro life can understand that many of those are women. There are many women who are pro life. But I think they would also agree that women are autonomous creatures who do have the capacity to make decisions about themselves and don't want to be controlled by a patriarchy. They can at least agree to that. So where do we find that middle ground? And like I said, I do think it comes in having honest conversations about things like economics and contraception that we are not yet talking about. Jen: That's good. I really like what you bring to the table, and I think there's a lot of room around all of those questions for conversation and effective space to sort of move forward together and the things we can come together on. Because frankly, as you mentioned, even in the pro life camp, when you're talking about one in four women who are making this choice, it's not all Them and Us. That's our sisters and our daughters and our best friends and our neighbors too. I think it's a mistake to ever imagine, in a discussion as fragile and personal as reproductive rights and abortion, that everybody in the room is on the same page or everybody in the room has had the same experience. There is a compassion necessary for this to go anywhere at all and to create common ground where we can love one another while in the midst of it, and you've set the table for us. I really like that you just said some people, they'll walk away from your book thinking, I think she's pro life, or, I think maybe she's pro choice. And they're not sure because you put it to us. You allow us to consider this complex space and think it through in our lives. One thing that I've heard you say, and I like this term, that you consider yourself an “accidental activist.” And you said "Sometimes, you don't know what you're capable of until you're told no." So that kicks me into gear. That's my fuel. So obviously, this is a time, right this minute, when a lot of us are accidentally discovering that we too are activists, come to find out. So knowing that you've spent years and years thinking about big questions and marginalized voices, I'm just curious on your opinion: what do you think is the next place that we are gonna see people fighting for their voices to be heard? I wonder if you have a prediction and what you think maybe the next 10 years might look like in the world of activism, as more and more of us kind of discover our voices? Jodi: So first of all, I think that we are going to be ceding activism to the young. Jodi: I think it is the next generation that is going to lift us, because I think we're stuck, to be honest. And this sounds terrible, but I do think there's an old guard that almost needs to die out before we can move forward, at this point. We're kind of stuck in Park or Reverse, even. I do think that it is those young people that are going to remind us of the intersectionality of causes. For example, I think it's really interesting the way the Parkland survivors have made sure to include the discussion about gun violence in inner cities and make it not just a white person's issue, like, a whole bunch of white kids got shot at the high school. I love the way that they've tried really hard to be inclusive in that sense. I think that's really important. Making sure that if someone's voice is not being heard, like Parkland survivors did, give the space for someone from the inner cities of Chicago or wherever there has been a lot of gun violence, someone of color, to stand up and speak. And I think that's what's going to have to happen in terms of immigration. Jen: I deeply agree with you. And the truth is, with any marginalized group, in history and now, it's not that they don't have a voice. They have a voice, and they have something to say, it's just that nobody is listening. Nobody is giving them platform. And you're not the first person to make this comparison to that sort of time in our recent history. It's a time for us to keep on our toes and to pay attention. My default is to listen to the marginalized voice. That's the first voice that I believe and I trust. So I appreciate your approach there and your commitment to listening to the margins. You've done it now for decades, just decades. Jodi: And if I can circle back to A Spark of Light for just a hot moment. Jodi: I think it's really important for women, no matter where they fall on the issue of reproductive rights and abortion rights, to recognize that women are still a marginalized voice. Jodi: And that some of the policies that would overturn Roe v. Wade, or restrict abortion, are often ways to keep women in a neat little box. So in addition to whatever beliefs you hold about personhood, you need to address that as well. And to just look around, just observationally, if I were to decide, "Okay, these are the elected officials, so this must be the general makeup of this country," I'd be way off. It was white men. And so that's who is making the decisions for all of us. So when it comes to women, when it comes to communities of color, when it comes to different faiths, representation matters. And so back to your point, that is one thing as women, we ought to be able to come together on and say "Well, there's just not enough of us up there representing us." And so there's a lot of decisions being made about us without our voice at the table. It's absurd, it's crazy. Jodi: 100% right. I couldn't agree more. Jen: Yes, so that's why I'm always telling people, "Vote the women into office.” I'm paying attention to all these really exciting women of color getting elected right now. Jodi: My husband actually said to me yesterday, "You know what? If I don't know what's happening in an election, I'm voting for the women because I want them running the world." I was like "Yes, you go!" Jen: You've trained him well. You've trained him well. Okay, let me ask you three last little questions. These are questions I'm asking everybody in the book series. We've had so many amazing authors in this series, and I'm just so grateful for your time and for your talent that you've shared with us for all these years. 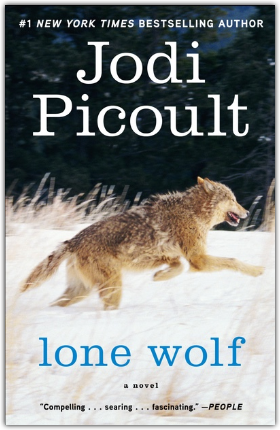 So here's the first one: What's the first book that you ever read that you distinctly remember having a pretty major impact on you? Jodi: It was Gone With the Wind. 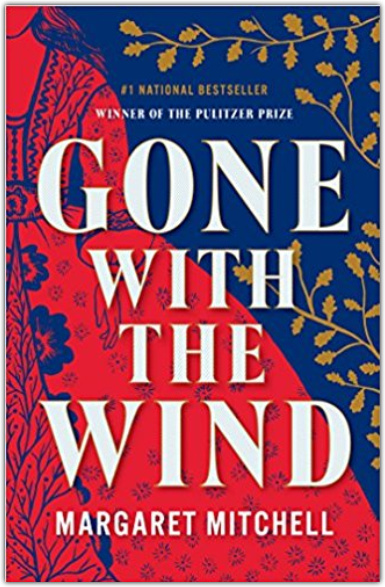 I read this book and suddenly, I wasn't just analyzing it as a reader, I was just stepping back for a minute and I said to myself, Wow, Margaret Mitchell created this whole world out of words. I could smell it, I could feel it, I could taste it. And I could do that. And it was really the first time that I thought, Maybe I could be a writer. I will always think of that as the beginning. Jen: Oh that's a good one. Okay, how about this: What's one book in your life that you have read over and over again? Jodi: Well, I'm gonna cheat on this one a little and tell you a book that I've read to someone else over and over. Jen: Oh that's fine, that counts. Jodi: And it was my daughter. 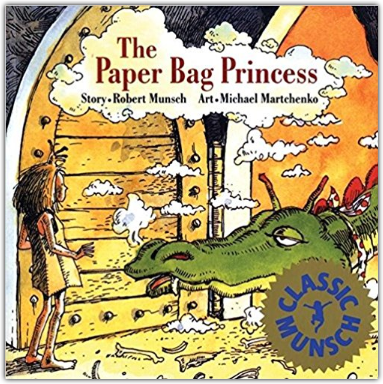 It's the picture book The Paper Bag Princess by Robert Munch, which I love because it is about a princess named Elizabeth who is in love with this prince, and a dragon comes and burns down the entire kingdom and kidnaps the prince. And she is left with no clothes and has to put on a paper bag. She goes off to find him and to save him from the dragon with only her wits. And at the very, very end of it, he looks at her and he goes, "You know, Elizabeth, you sure don't look like a princess dressed like that." And she was like, "Well, you look like a prince, but you're a bum," and she walks out. Jen: Oh my gosh, that is amazing! She dropped the mic. Jodi: It's the best girl power book for a young girl. I read it to my daughter over and over again. And she's grown up to a pretty amazing woman, so I'd like to think it worked. Okay, and then this one. This is a twist on a question that I ask all the guests in every series: Do you have a book that is saving your life right now? Jodi: To me, saving my life, I'm interpreting it as getting creative juices flowing. 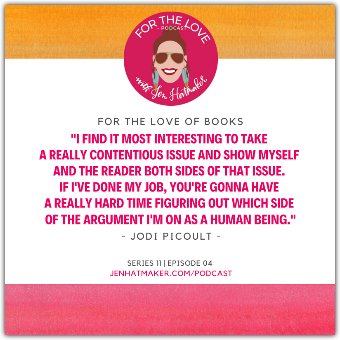 Jodi: Yeah, because a lot of times, I can read books and I'm like, Oh, this is good, whatever. But then suddenly, I'll read something and I'm like, Oh, man! Jen: Yes, that's exactly what I meant by the question. 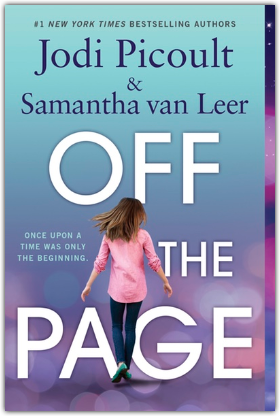 Jodi: So that book is a book called The Seas by Samantha Hunt. It's an old book. 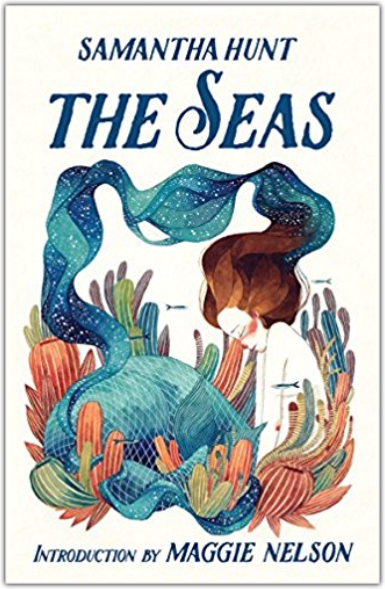 She is a highly literary writer, and it is a retelling of the Undine story, a girl who is either crazy and thinks she is a mermaid or maybe actually is a mermaid. And falls in love with this guy who comes back from war and has extreme PTSD. The way it is written, is so beautiful that I can't stop thinking of it. And I am not a highlighter but I highlighted, I don't know, 75% of that book. Jen: Okay, listen, listeners, we're gonna have all these books linked over on the transcript in case you wanna see what all the fuss is about. Okay, and then before I let you go, I just want to pick that pin up that I stuck in a second ago, and I wanna just hear from you for one minute on My Sister's Keeper. So anyone that's listening and hasn't read it, just turn it off. This is a spoiler alert. 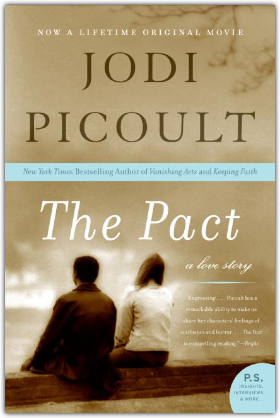 Jodi: Let me tell you that when that book was written, it was the first book my oldest son read. He was 12, it was the first book he ever read by me. And when he finished, I looked over and I saw him just crying on the couch. And he ran up to his room and he slammed the door. I went up and I knocked, and I said "Kyle, would you like to talk?" And he opened the door and he said, "I don't wanna talk to you right now." So I get it. 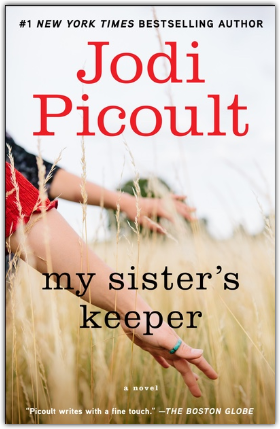 But the ending of My Sister's Keeper, and we're talking about the book, not the terrible movie, but it is the only ending that will shock that family out of a cycle of self-destruction. Any other ending, and they will keep on making the same mistakes. The reason that you were so upset and are still so upset is because you did the same thing the Fitzgeralds did, and you took Anna for granted. Jen: I did. And I expected the story to skew the way it was skewing. And I remember I sat on the edge of my bathtub, and I just put the book on the floor and I had to sob. I don't mean like a tear trickling down—I mean, Blow my nose, that's it. My day is over, I'm going to bed. Jen: Did you know all along you were gonna give it that ending? Jen: Okay. Do you always know how your books are gonna end? Jodi: I do, although in the case of A Spark of Light, I knew how it was gonna begin. Because I mean it's the reverse. Okay, listen. Will you just tell everybody kind of where they can find you, what you're doing, how to get to you online, all that. 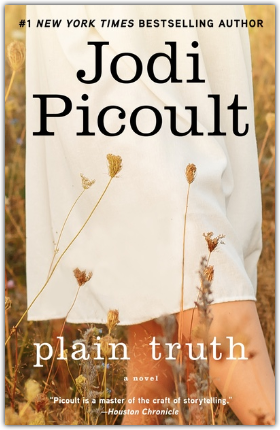 Jodi: So you can go to my website which is www.jodipicoult.com. You can sign up for my newsletter there, which will allow you to not just hear what I'm listening to and reading and watching every month, but also will give you updates on anywhere I'm appearing, in case it's in an area near you. 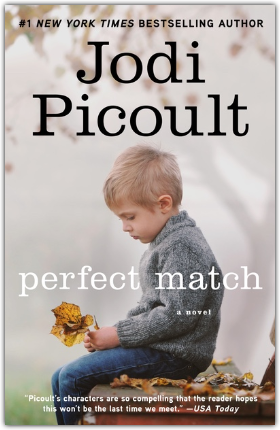 You could also find me on Facebook, I have a Jodi Picoult page there. 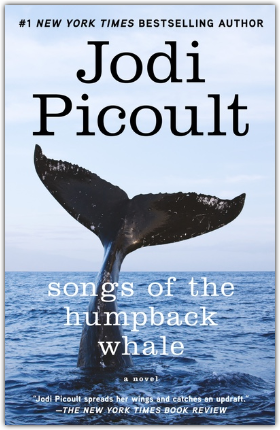 And you can also follow me on Twitter which is @jodipicoult. Jen: Yup, and you're fun and funny on there too. I love following you. And guys, we'll all have all these links for you. 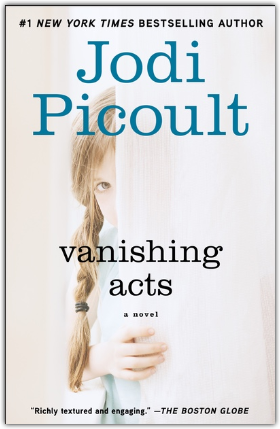 Jodi: I forgot, I also have @jodipicoult on Instagram, sorry. Jen: Oh yes. All the socials, all the socials. Thank you for being on today, thank you for your just intelligence. You're such an interesting person and your thoughtful. I like the way that you're leading, and I like the way that you make us think. I love your characters, and I love your work. And I just guarantee you, as long as you'll keep writing, you're gonna have at least one book sale with me every time, every single time. So you can just take that to the bank. So anyway, I appreciate you so much, Jodi. Jodi: Of course. Thank you, Jen. This has been great. Just a real delight to have an accomplished writer on the podcast today. And thanks for listening, and thanks for wading into some murky waters with me today. I appreciate who you are as a listener. Jodi asked me before we started recording, like, "Who's your listener? And I don't know what to expect out of them." And I said, "This is an intelligent community and one that has a lot of generosity toward one another, curious about the world, tends to give one another the benefit of the doubt." I really believe in you as listeners and as a community able to manage discussions where everyone else is simply screaming. And so even if today's episode was challenging, which it probably was, one way or another, I'm grateful that we get to have this, that we get a space where we can have productive dialogue together and listen and just consider potential paths in which we can come together. And so anyway, I'm grateful to Jodi for bringing her work and her research to bear. And you guys, I mean, Jodi's got 25 novels. All of her work is . . . she pushes us. She pushes us. Her last book was on white supremacy, so she does not wade into easy waters at all. I find that courageous. And I find it admirable. And many of her books have made me think. We're gonna have them all linked, gosh, the transcript page is gonna be a thousand pages long because she has 25 novels, as I mentioned. 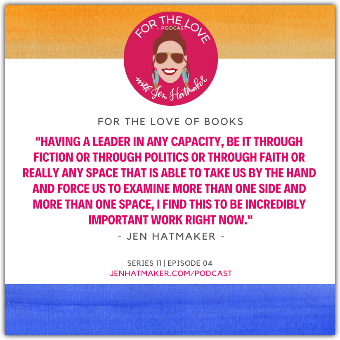 But her books, her sites, everything that she's working on, I'll have it all over at jenhatmaker.com so you can sort of follow along to one of the great novelists of our generation. Thank you for being here. Thank you for all your great feedback on this series. We’ve had all kinds of writers, and I like that. I like a space that is not homogeneous, where every single guest is just like the one before. I like dipping into different genres and different spaces and different kinds of thinkers and leaders, and so that's what you're gonna get here. That is what you're gonna get. And I like that you can appreciate that and that you keep coming back for more. So you're not gonna wanna miss next week. We continue the fun with more amazing conversations, and it is my joy and delight to host them and to host you. So thanks, you guys, for being amazing listeners, and I'll see you next week. Jen: Calling all crafters! 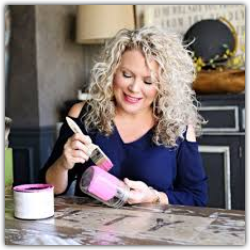 Jennifer Allwood can show you how to turn your creative hobby into a booming business! 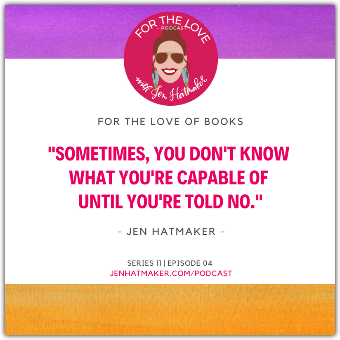 Jennifer has an online coaching group called The Creators’ Inner Circle, and she's reserved spots just for you, my For the Love listeners!